It’s difficult not to be swept up by Duncan’s enthusiasm for his craft. 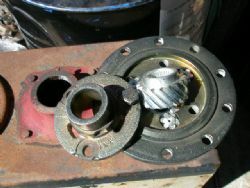 It’s a good thing too as opening a gearbox for the first time can be daunting. Duncan Hore was just 9 when he started out helping his father’s mechanic and one of his earliest memories was watching a differential being rebuilt. Even at that tender age he soon caught on that it was very different from the run-of-the-mill mechanical task. It’s a feeling that spawned a passion that stayed with him through the rest of his younger days and still drives Duncan today after some 26 years in the business. Duncan likens the differential to a drummer in the band drawing everything else together. While the engine may be important, if it can’t get the power to the ground, it’s just an engine. After working with, and for others Duncan set out on his own just over 2 years ago with the aim to provide good quality, honest service. Duncan believes that only by working by himself can he guarantee that the customer can be assured of exactly what’s required. As the name implies Top Cog specialises in just diffs and gearboxes but that Duncan says is very wide ranging. 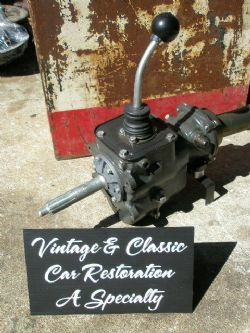 The oldest gearbox that Duncan has worked his magic on was from a 1910 Lion while the newest is to be used in drifting. 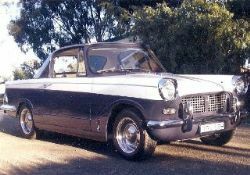 Duncan has also found himself working closely with customers involved in historic motor sport and has prepared many a gearbox and diff for racing Holden EHs, Toranas and Monaros. There have also been numerous rebuilds for MG and Jaguar owners as well. Duncan attends as many historic race meetings as he can in the fully equipped Top Cog Nissan Vanette and is happy to assist race car owners when needed. Duncan also takes delight in preparing components for enthusiasts who have gold level in mind at the next concourse. 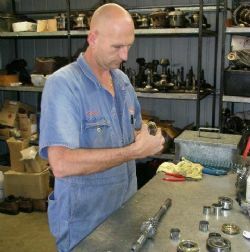 Each differential or gearbox that comes into Top Cog is stripped and the casing receives a thorough clean and bead blast. It’s Duncan’s promise that the exterior of the gearbox and diff are just as spot-on as the inside. Of course many classic car owners are well aware that as their car traveled down the factory production line various components were colour coded or marked, indicating ratios, types and so on. Well Duncan prides himself that he not only knows the correct colours but also how and where it’s applied. Being the owner of a 29 Chev, still on its wooden wheels Duncan also knows the fun and excitement of classic car ownership. This means that he is happy to take on any task no matter how impossible it may be. He says that the differential and gearbox of a 1935 Lagonda that he is just finishing is just the case in point. At the other extreme, but also offering a challenge were the hypoid gears of a bowling green lawn mower. Duncan says while he has a love for classic and older machinery it really doesn’t matter if it’s a gearbox or diff from a 4WD, rear or front wheel drive, modified or standard he just loves rebuilding them. He stresses that if the parts can’t be purchased they can still be made. In fact Duncan advises that if it can be drawn it can be made, not matter how obscure. It doesn’t matter where you are in Australia Duncan Hore of Top Cog is there to assist you with your gearbox and differential. All you have to do is to place it on a pallet and send it to him. What you will receive back will not only look perfect but will also be perfect.